We have been producing Architecture Corner for nearly four years as a hobby project, but also participating in short films, features and TV-series for the last couple of years. During this time, I have written down how things work & doesn’t work on set. We have been trying to find out better ways of working and documenting this in Production Handboks, based on business processes, roles and tools. There is no EA function in the organisation, instead we talk of business development, where we use EA mindset and frameworks as tools to ”Continuously improve creativity”. We have added ”Better and better stories, together” to the mission statement for business development as storytelling is what is all about for us. We will not share everything public, but at least we share some bits and pieces, so you can see how we apply an EA mindset for a small startup that have an ambition to grow. Bear also in mind that this work has been done piece by piece, during two years time, and small parts of the workflow been verified in actual projects, in an agile fashion by different crew members. First of all, we start with a business model canvas to define what what kind of business we are in, i.e. Filmproduction. The canvas was used as input to the actual EA work as described in TOGAF and other frameworks. When we started only the value proposition and customer segments where in place, but now the whole canvas is ready, (and to be improved later on). The high-level process for film production is the same regardless of type of production we do, but it differs on level 3 and level 4 depending on type of production we are doing. As an example, there are some major differences between scripted stories, e.g. feature films and non-scripted stories as documentaries where you don’t have a detailed manuscript to start with. Part of the work I have been doing is process modelling to find out differences in workflow between different types of films we produce. Not only the workflow is different, but there are differences in type of information needed in the processes, depending on types of film. This is the main reson we need a basic information model so we know what kind of information we need to achieve quality in the production. Film production is colloboration and the tools we use must support a good workflow though out the process, from development to delivery. We also work in different physical locations, with clients, talent, crew where those behind of the camera often are contractors. We need computers and software both to produce the actual film, but also to support the production process. The budget don’ t allow for in-house development and we have to rely on COTS and Cloud-services, where the latter is preferred as it better support our ways of working. We selected applications based on our workflow, the type of productions we do and how well it supports us making better and better stories, together. Therefore, we have to rely on other editing applications (FCP/X and Resolve) for larger productions. AVID that is used in Hollywood was rules out for a number of other reasons. Does it work and is it not only a paper product? 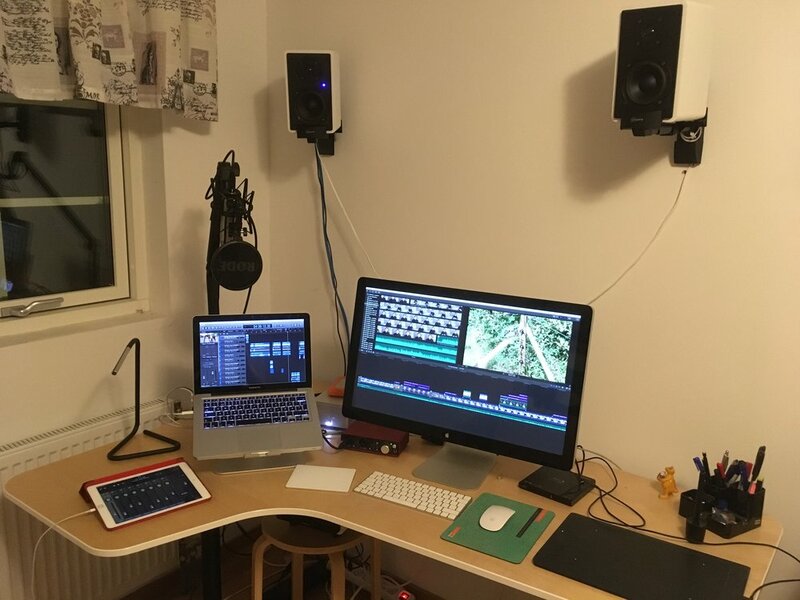 Yes, we tried this workflow in the short films Seven Deadly Sins of IT last year and we are not the only one who is using this way of working in post-production. Do you think it’s an EA approach to building a business, or more ad-hoc style way of thinking? GDPR is another thing to take care of and how this impact film production depends on type of production, process, type of personal information and the applications & services we use for handling such data. Read more at http://www.artmann.co.uk/quality/legal/gdpr/ to see if you recognize parts of your favorite EA framework. So yes, from my perspective you can use EA mindset for a start up, but you don’t need the whole framework at once. You neither need a very large organisation to do Enterprise architecture work. It’s not possible to show the usual EA artefacts to the film community as they are often are creative people and wouldn’t understand our diagrams. This is the reason why we don’t make our presentation material in the usual style. See you at the red carpet.